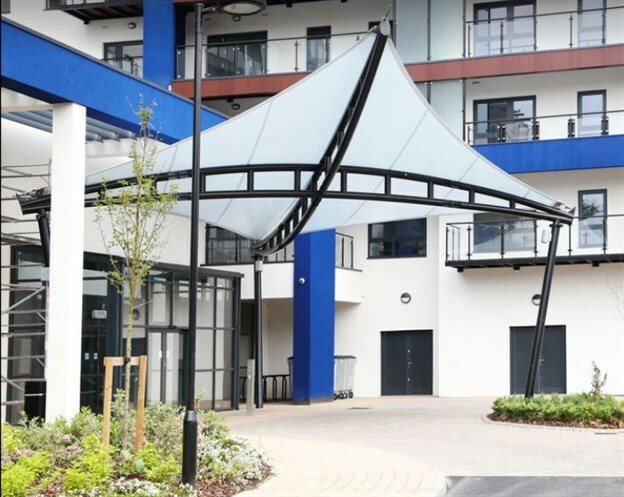 We were approached by the main contractor of this project to assist them with this entrance canopy structure for a prestigious new retirement village which is currently being constructed in Coventry. They had already installed foundations to a previous design of structure that needed to be altered due to its inappropriate design. 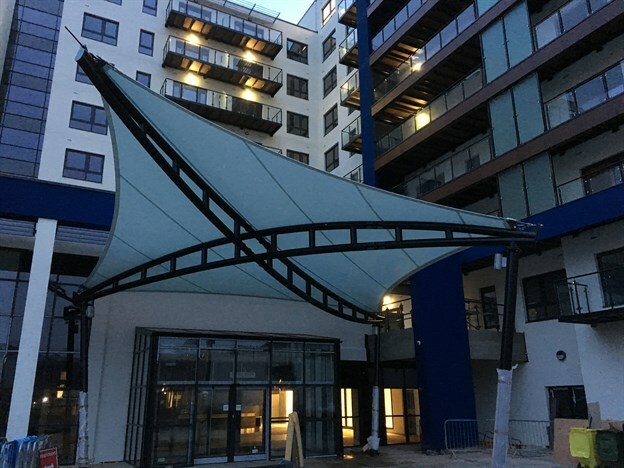 The canopy we went for is based around a classic hypar canopy, utilising a cantilever element to align the structure with the existing foundations and to remove the need for a forth leg which would have been an obstruction. The client was keen that the reception area inside the building would remain as light as possible. We therefore used a new material from Ferrari that achieves a 25% light transmission (standard fabric of this weight would give around 8% light transmission). We installed the canopy over a two day period and included an integrated gutter system to bring water down all three columns to soak-away locations. 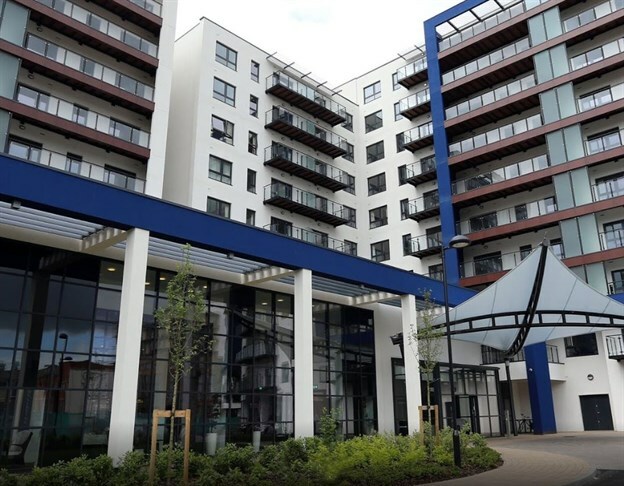 The end result helps to draw attention to the entrance of the retirement village and offers weather protection for the residents and their visitors. 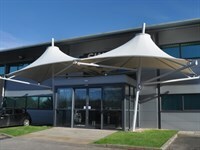 Other hypar canopies in our exterior product range include the Flexus and the Hydra.